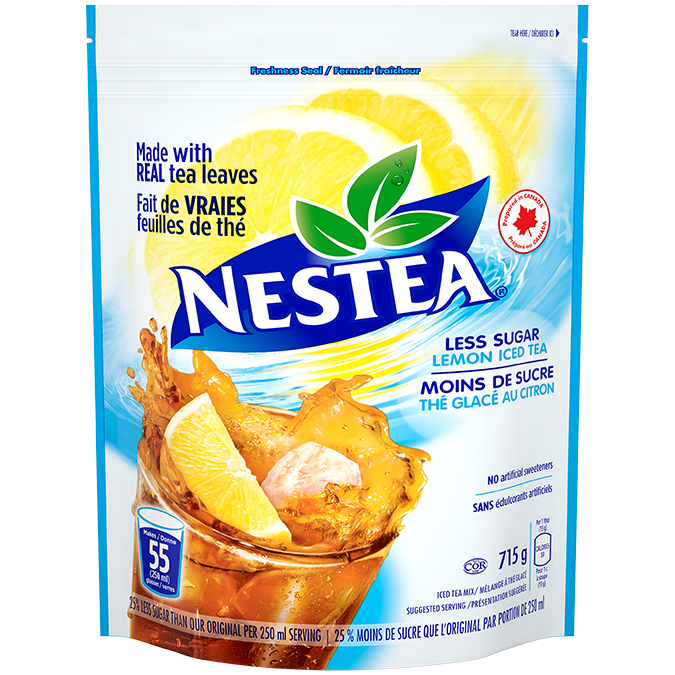 NESTEA Lemon Iced Tea, Less Sugar features the refreshing, delicious taste of iced tea infused with real tea leaves and lemon flavours in a convenient, re-sealable pouch. Prepared in Canada, each sip has our same signature taste, with 25% less sugar than the original and no artificial sweetners. Raise your glass to lemon iced tea with less sugar! In the event of any discrepancy between the information listed on this website and on each individual package, please refer to the information listed on package. Packed full of delicious flavour, this smoothie is sure to be a hit with the family . Perfect treat for a hot summer day! Sangria with a summer twist that you will enjoy all season long!